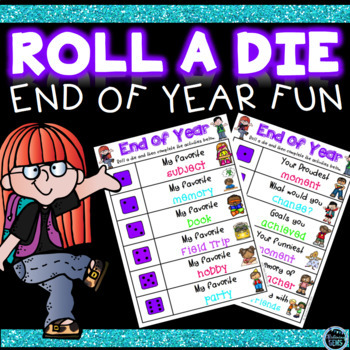 Engage your students with these fun and interactive 'End of Year Activities for Elementary'. 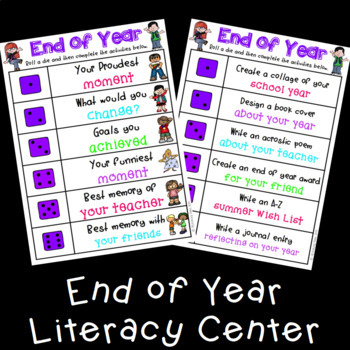 These end of year dice games are perfect for your literacy centers, literacy groups, literacy rotations or literacy station activities! 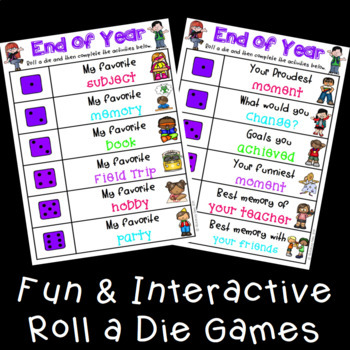 Included are 4 different roll a die games to choose from. 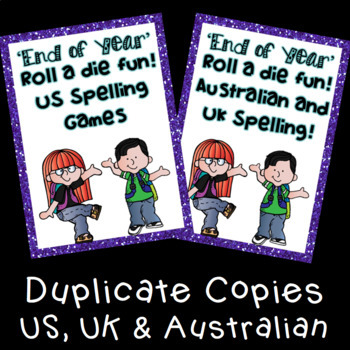 These end of year activities are available in US, UK and Australian spelling. ★ Laminate and use in your literacy centers. ★ Play the games independently. ★ Play as a whole class game during the last week of school. ★ Play game in pairs to get to reflect on the school year. ★ Incorporate activity into your Daily 5 activities. For end of year games 1 & 2, students will write about their favorite things throughout the year. ✔ What would you change? For end of year game 4, students will get creative. ✔ Write a journal entry reflecting on your year.